Mechanical seals employed in machinery with rotating components can be affected by a series of wear issues. The main cause of mechanical seal problems is related to the correct lubrication of the seal itself. These are the main signs and causes of a scarce or wrong lubrication in mechanical seals aiming to a proper troubleshooting. Dry running happens when there is no liquid at all around the mechanical seal. The absence of the liquid film generates friction between the faces of the seal, with a dramatical increasing of the temperature. The typical damage of dry running is the presence of burned elastomeric parts. 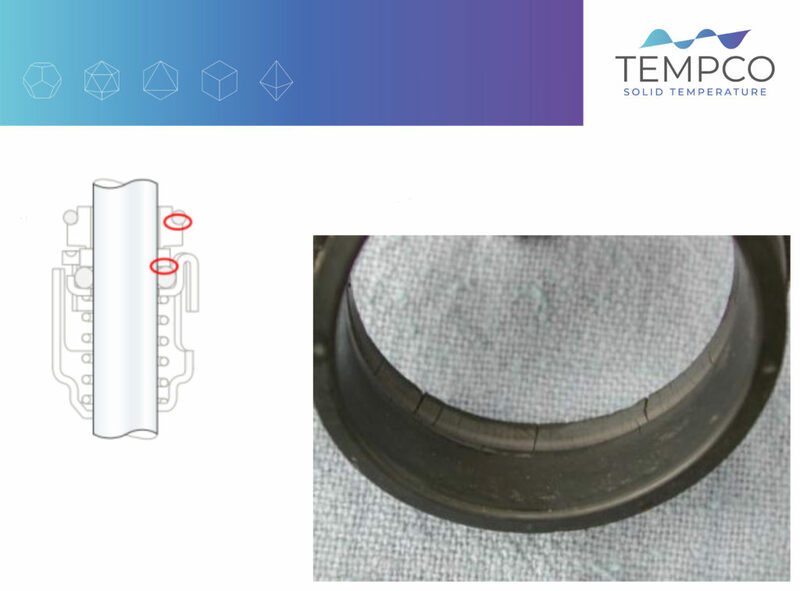 The damage happens when the O-ring is in direct contact with the over-heated mechanical seal ring. A scarce lubrication can happen when the pumped fluid has a very low viscosity, or when temperature at atmospheric pressure is higher than boiling point, or if there is some air in the circuit. In these cases, the heat caused by the friction can concentrate on small areas on the seal surface, with the result of even extreme heating conditions. Local alternation of heating and cooling of the mechanical seal surfaces can cause small radial cracks due to the thermal shock. It happens when the pump circuit is working with the inlet valve closed. Heat generated by the friction on the shaft seal can generate very high temperatures. The temperature increase can thus damage elastomeric parts of the mechanical seal. In addition, it increases the risk of dry running on the surface of the mechanical seal. 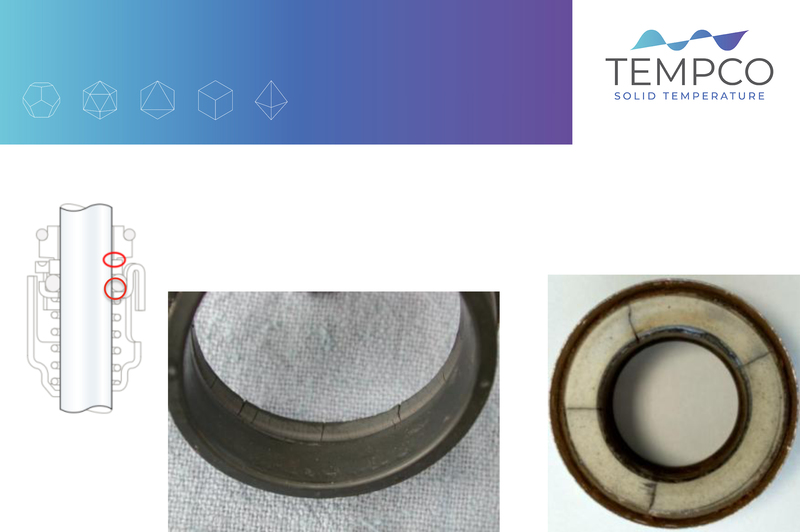 Further mechanical seals problems can also be related to installation issues, failure in components or a wrong selection in materials matching. We will dedicate another article to analyze in depth the troubleshooting of these cases. We wanted to make this 2019 a new year full of news, starting with a series of tutorial videos aimed to explain in a simple way the main working characteristics of some machinery employed in thermal energy management, such as heat exchangers and heat pumps. I wanted to be featured in first person, and yes, the one you’ll see in these videos (in Italian language but with subtitles) it’s me, Valter Biolchi, owner and manager of Tempco and behind this Tempco Blog as well. I wanted to dedicate the first video to the topic of plate heat exchangers, a kind of machinery that I’ve always considered as the most flexible and efficient in terms of heat transfer above all. 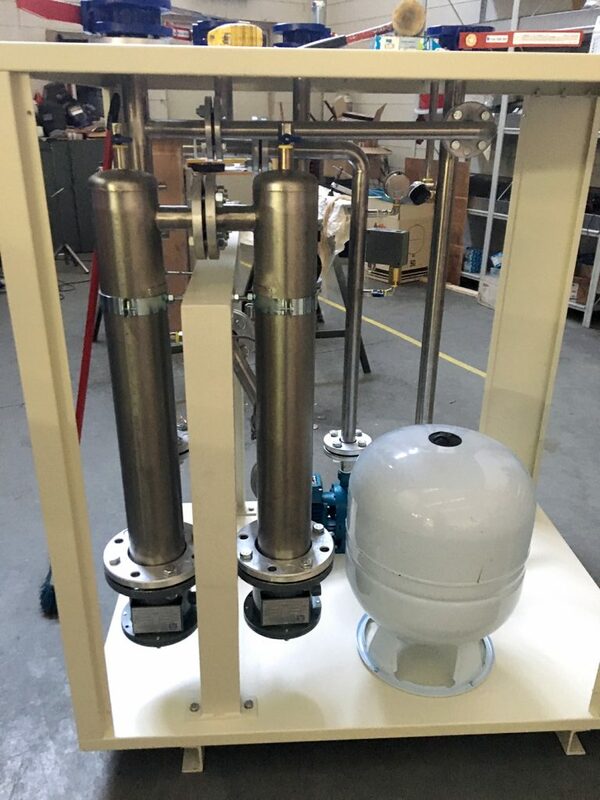 Heat exchangers ensure indeed higher thermal transfer rates compared to shell and tube heat exchangers. This is due to the fact that fluids are moving inside the exchanger with a turbulent flow, even when the fluids have very low speeds. 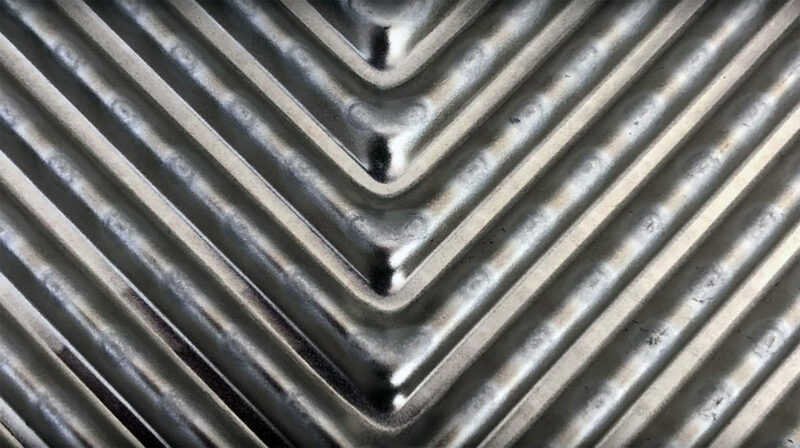 The turbulent flow is obtained thanks to the design of the plates, which are then coupled each-other rotated by 180° in order to create tiny flowing channels with 2,5 – 3 mm width, depending on the kind of heat exchanger, forcing the fluids through the plates in a continuously interrupted and non-linear flow. 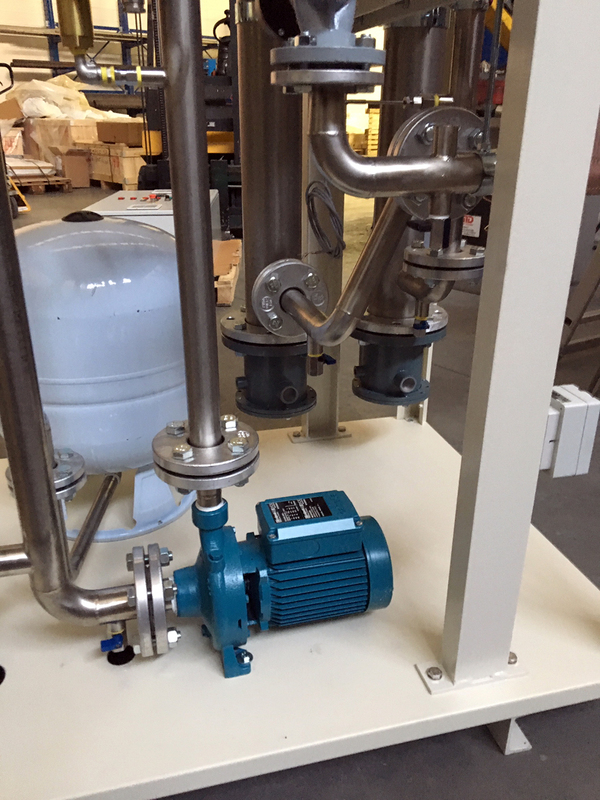 Another advantage offered by plate heat exchangers is the compact design and smaller size achievable with this kind of solutions, and most of all the possibility to obtain crossing temperatures between warm and cold fluids. 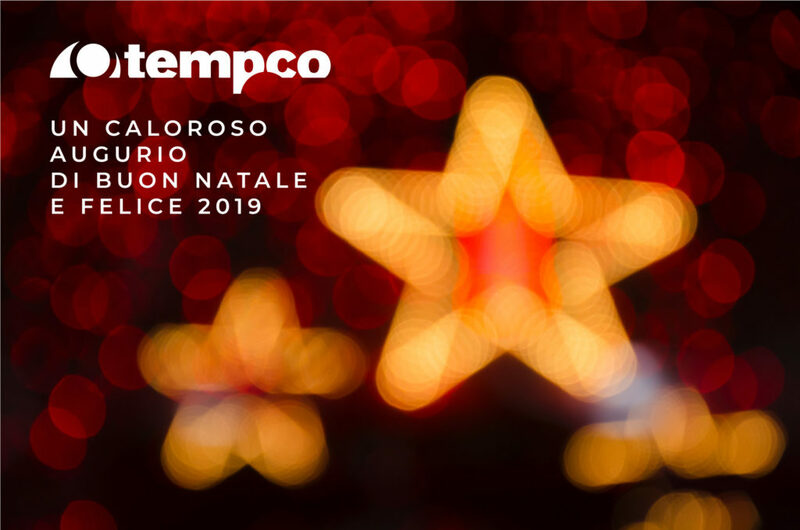 We would like to wish you all Happy Holidays, a Warm and Merry Christmas and a Joyful and Thrilling New 2019, from all the Tempco team! 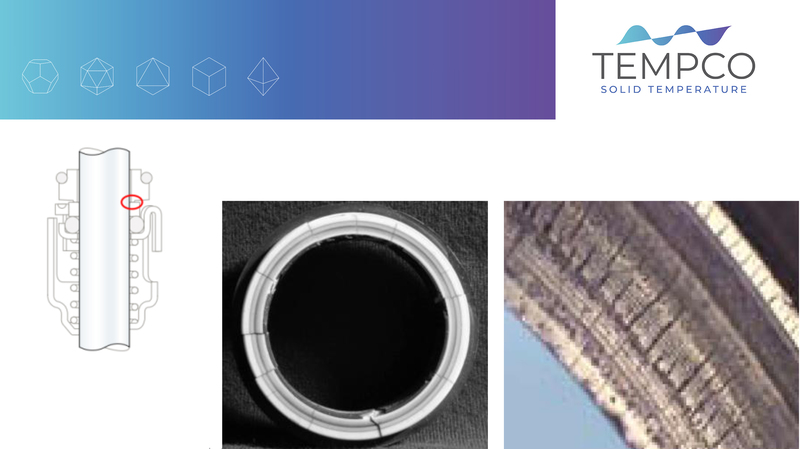 Looking forward for all the new and challenging applications related to thermal energy management, and to the many news and innovations we’re working on… soon to be revelead! But in the meantime, Merry Christmas and Happy New Year to Everyone! 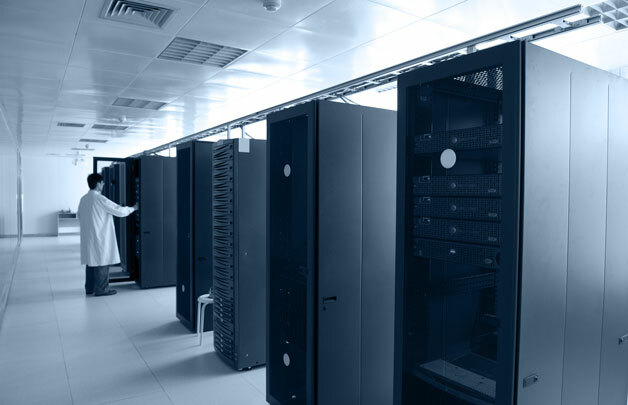 Cooling in data centers is often achieved by direct expansion chillers. This kind of systems, in addition to being highly energy-intensive, employ refrigerants that are pollutants, and thus more and more banned or limited by regulations. The increase in the computational power, due to the global adoption of artificial intelligence, big data analytics and cloud computing, machine learning and blockchain, has an effect increasing the impact of data centers upon the global warming. If actually the increase of working temperatures of computers is reducing the need of mechanical cooling in data centers, regulations are pushing to a drastic reduction in the employ of refrigerants, responsible of greenhouse gas emissions. Different HFC (hydro-fluorocarbon) refrigerants are employed in data centers, the most commonly being the R13a (in big plants) and the R410A (in small-medium size data centers). Their control imposed by regulations around the world is making their prices getting higher, pushing operators to find out new technologies and green cooling strategies for data centers. Among green solutions for data centers, there is the employ of TCOIL dimple jacket exchangers for liquid cooling of the servers. Possibly also leveraging cold water available in the environment (as achieved in the Green Mountain installation in Norway). 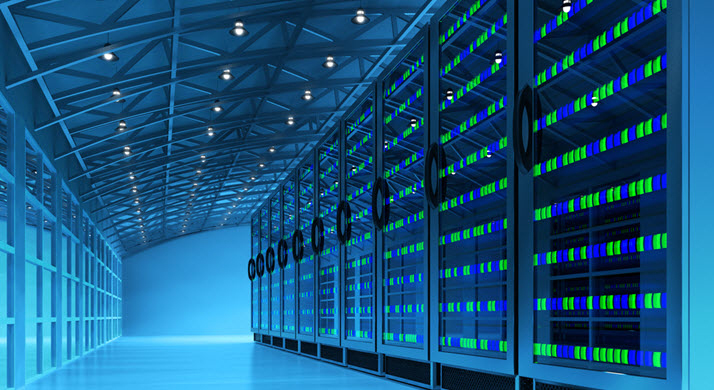 Getting rid of chillers, in addition to eliminating the use of HFC refrigerants, also would allow low energy consumption in data center operations. 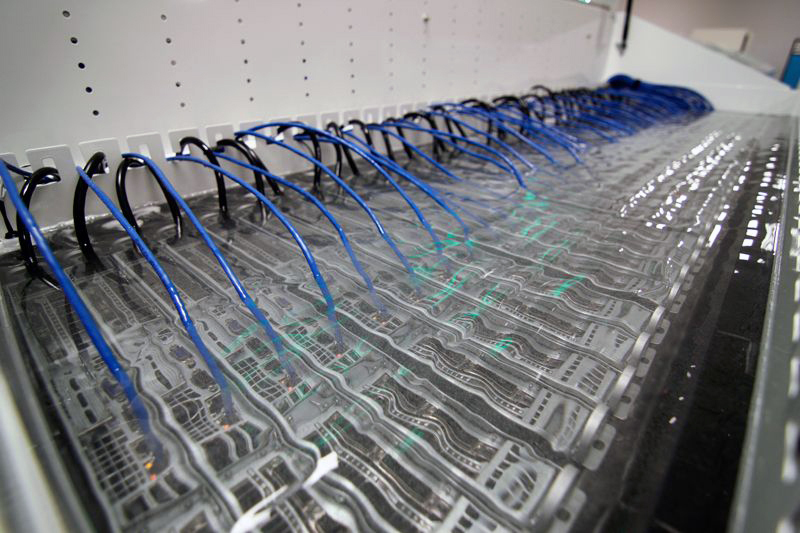 Free cooling is another green cooling strategy for data centers, that stands out, as well as dimple jacket exchangers, for cooling efficiency and sustainability. The free cooling employs cold environmental air where it’s available, representing an efficient solution combined with cold water cooled systems. Moreover, the option of an adiabatic boost, which extends the dissipation efficiency of the free cooling systems, makes this green cooling solutions feasible in a wider range of geographical areas. 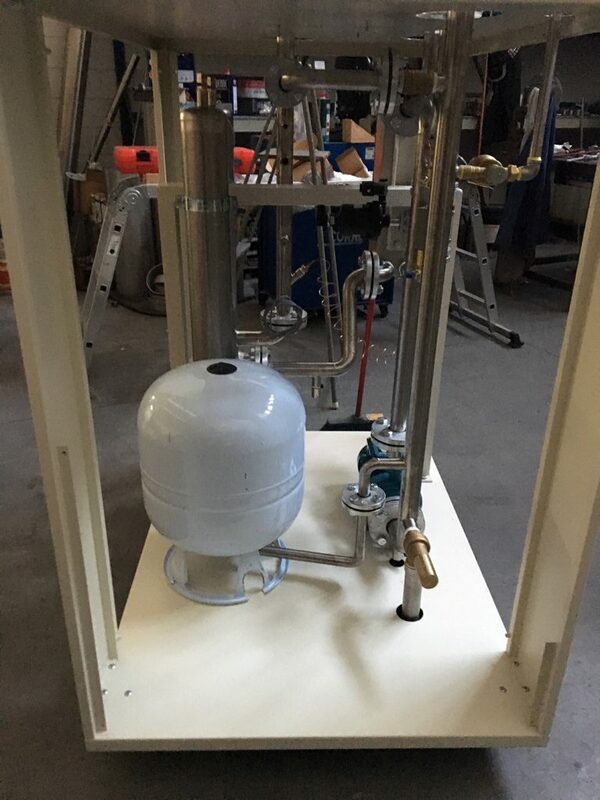 Leveraging a solid know-how built by Tempco in more than 15 years in thermoregulation applications in the pharma sector, we are introducing an improvement in the engineering of our TREG thermoregulating units. 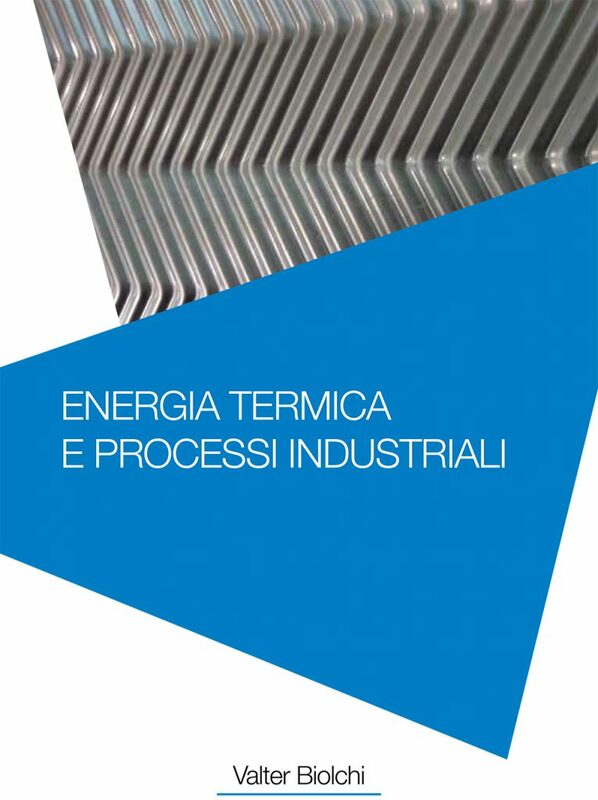 The new electrical heating units dedicated to chemical, industrial and pharma fields meet the need of these sectors to regulate the temperatures in their processes, with increasing precision and programming functionalities. 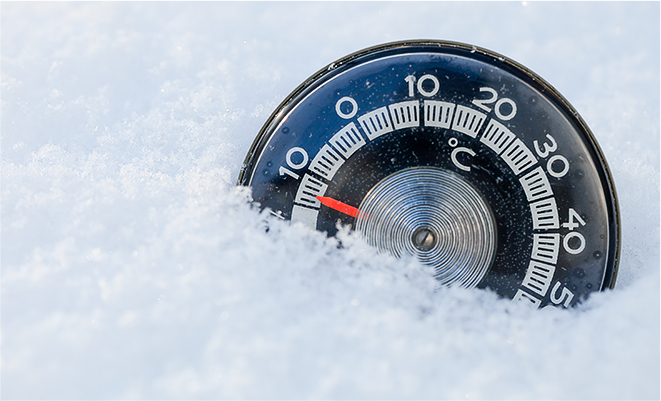 In addition the pharma sector requires a constant monitoring of all process’ steps, thus including a continuous monitoring of temperatures and cycle times of all the heating/cooling/temperature maintaining cycles. These requirements must be fulfilled providing compact machinery, ensuring easy and fast installation and commissioning. Tempco’s solutions portfolio offers a broad constructive range of power capacities, with different temperature control levels. 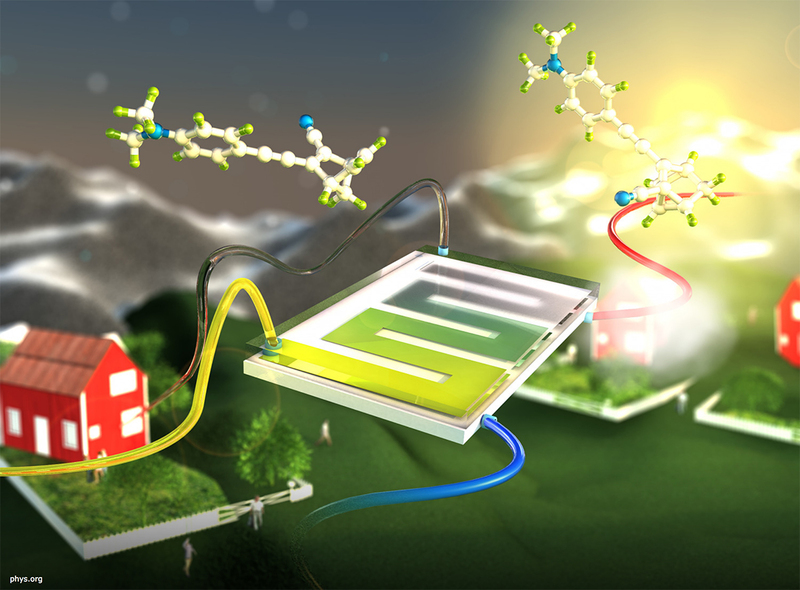 Coming from Sweden is a new thermal fluid for solar energy storage, called Norbornadiene. 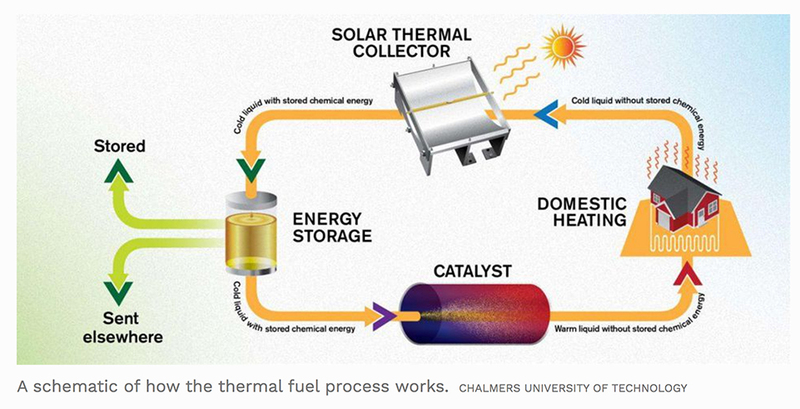 The innovation arrives from a study of the Chalmers University of Technology in Göteborg, Sweden, dedicated to a new solar thermal fuel mostly composed by carbon, hydrogen and nitrogen molecules. The Norbornadiene solar thermal fuel is indeed able to capture solar radiation, and to storage solar energy at low cost for years, without discharging in opposition to what happens with traditional batteries. The stored energy can be released on demand in form of heat, by activating the fluid through a catalyst. When hit by the sunlight, the molecules of Norbornadiene get excited so that some of the bonds between atoms are rearranged to a higher energy level structure (quadricyclane). The energized version of the molecule is stable, with strong chemical bonds, enabling the molecule to sit for nearly two decades without losing the stored energy. Passing through a catalyst, the chemical bonds are rearranged releasing quite a lot of heat. By inserting a heat exchanger between the thermal fuel and water in the circuit, is it possible to transfer the thermal energy to heat the water at a temperature of approx. 65° C, to be employed for domestic heating or to obtain sanitary hot water. 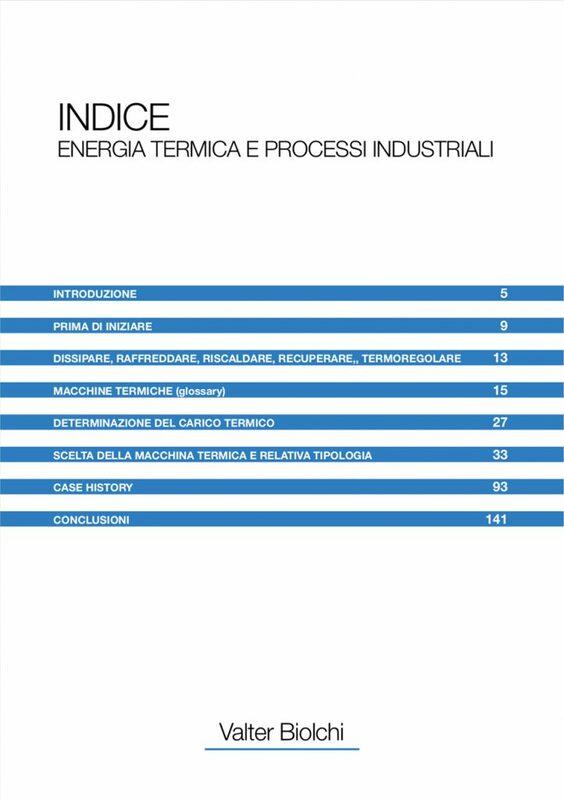 The researchers are actually further developing and optimizing the process, aiming to lower the costs of both materials and the process to take the norbornadiene-based solar thermal storage technology to the market within the next 8-10 years.